Want to know how to make professional-looking figures for your publications and presentations? Would you like to be able to interrogate your data visually prior to and during your analyses? 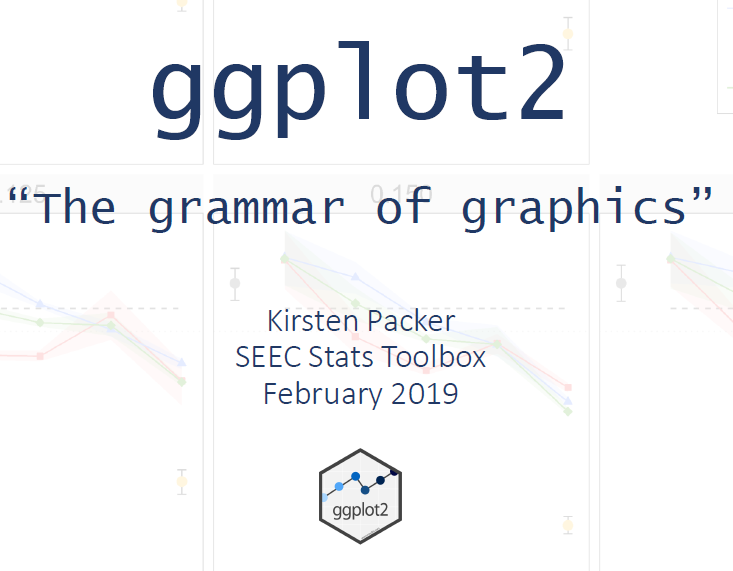 Kirsten Packer talks about how to use ggplot2 to do all of the above, and more. Watch her presentation and download the slides and data here.